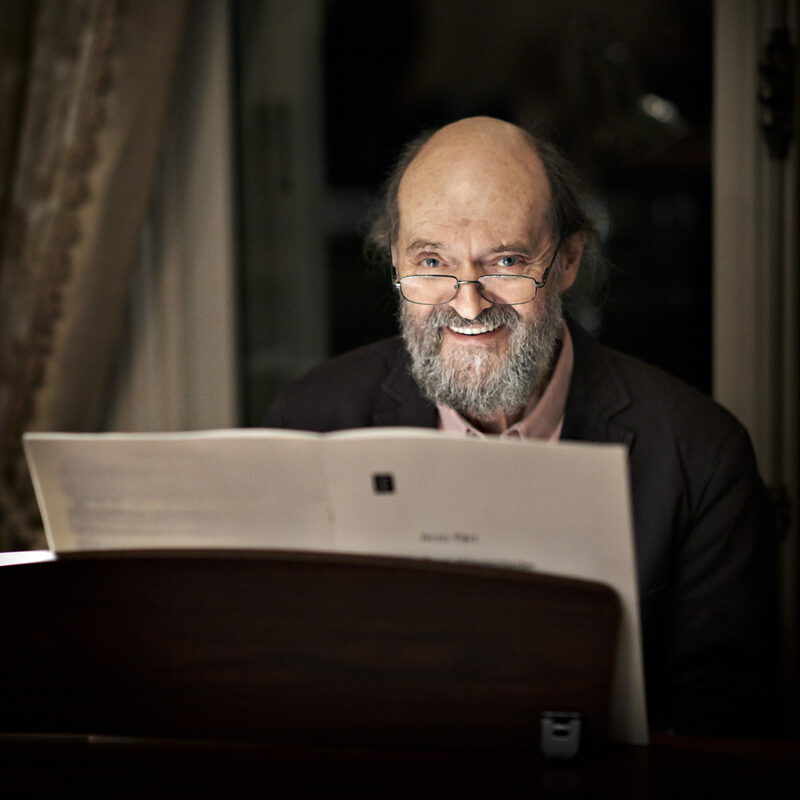 Two eminent prizes will be awarded to Arvo Pärt on 25-26 November in Warsaw. On Sunday, November 25, Arvo Pärt will be awarded the Golden Medal for Merit to Culture— Gloria Artis —the highest cultural prize in Poland. The golden medal is the highest category of the prize and it will be awarded to Arvo Pärt by the Minister of Culture and National Heritage of the Republic of Poland, Jaroslaw Sellin. The award ceremony will take place during a concert consisting solely of Arvo Pärt’s works in the Rotunda Hall of the John Paul II Museum. The music will be performed by the Estonian Philharmonic Chamber Choir and the Tallinn Chamber Orchestra, conducted by Tõnu Kaljuste. The concert will feature such titles as Adam’s Lament, Cantus in Memory of Benjamin Britten, Fratres, Salve Regina and Te Deum. The concert will be part of the EUFONIE festival that is dedicated to the 100th anniversary of the Republic of Poland. Arvo Pärt is this year’s festival’s guest of honour. The festival is also an homage to other European countries celebrating 100 years of independence, including Estonia. The ceremony will be attended by the Estonian ambassador to Poland Martin Roger, and the Polish ambassador to Estonia Grzegorz Kozłowski. Another distinguished title will be awarded to Arvo Pärt on Monday, November 26, when Poland’s oldest institution of higher education in music, the Fryderyk Chopin University of Music bestows him an Honorary Doctorate for outstanding musical achievements and for the universal depth of his works. The award ceremony will take place at noon at the Concert Hall of the Fryderyk Chopin University of Music in Warsaw. The laudatory speech will be delivered by the Head of the Chair of Composition, Prof. Dr. Paweł Łukaszewski, and the diploma of the Honorary Doctorate will be presented by the Rector of the University, Prof. Dr. Klaudiusz Baran. The musical part of the ceremony will be the performance of Cantus in Memory of Benjamin Britten, given by the Chopin University Chamber Orchestra conducted by Rafał Janiak. It will also be one of the pieces performed by the same musicians at the Concert Hall in the evening, during a concert dedicated to the work of Arvo Pärt, alongside Tabula rasa, Festina lente, Trisagion and Concerto piccolo über B-A-C-H. The honorary doctorate by the Fryderyk Chopin University of Music has earlier been bestowed on Polish composers and conductors Krzysztof Penderecki and Witold Lutosławski, the French composer and legendary teacher of composition Nadia Boulanger, the Russian cellist and conductor Mstislav Rostropovich as well as the opera singer and conductor Placido Domingo. Among Pärt’s numerous awards, such as membership in the American Academy of Arts and Letters (USA 1996); the Praemium Imperiale (Japan 2014) and the Ratzinger Prize (Vatican 2017), there are also several honorary doctorates from Estonian universities (Estonian Academy of Music 1989 and Tartu University 1998), as well as from renowned foreign universities (University of Oxford 2016, University of Durham 2002 and University of Sydney 1996). Some of the earlier prizes were connected to Poland: in 2007, Arvo Pärt received the Görlitz / Zgorzelec International Brücke Prize, and in 2016 he was awarded the Medal of the Pontifical Council for Culture “Per Arte ad Deum,” which was founded by Pope John Paul II and is presented to the laureates during the Church Exhibition in Kielce, Poland.